In the past, when you have posted a message on your business’s Facebook page, you were speaking to all of your fans at once. Marketers have had the ability for a while to geotarget posts, but they have never been provided with the tools to customize communications within a group. All of this has now changed. Facebook has introduced Page Post Targeting. Marketers can now hold unique conversations within groups. The marketing possibilities with the tool are now endless. This tool is going to enable businesses to craft unique posts, share content with specified markets, and create a more personable relationship with their clientele on Facebook. Thus, the power of Facebook marketing has been increased tenfold. As aforementioned, in the past, Facebook posts from businesses have been crafted with broad appeal in mind to reach the masses. It was a gamble, crafting such content, because you could only hope that the fans of your page related to your content and/or found it engaging. While professional marketers have become adept at doing this, there are a number of instances where Page Post Targeting is going to prove beneficial. Let’s use cross promoting among social media platforms as an example. 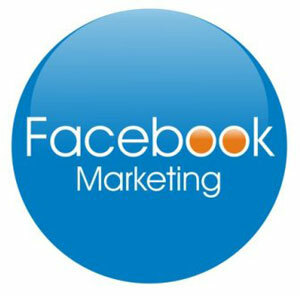 It has become standard practice within Facebook marketing to integrate other social media platforms that your business has established a presence in. To provide an example of what we’re talking about, let’s say that you wanted to mention that your business has an established presence on Pinterest. Naturally, a post like this would be primarily targeted towards women. With Page Post Targeting, you will be able to select the “gender” option to ensure that your post is engaging the right audience. Ultimately, this is going to enable you to achieve higher virility ratings. An additional benefit that Page Post Targeting offers is the ability to use the same item of content in a number of different ways. For example, the back to school experience is going to have different meanings for a college senior versus a high school senior. These different audiences are going to have different needs for back to school items. While your business’s back to school sale might meet the needs of both groups, Page Post Targeting allows you to take it one step further by creating content that speaks to each group’s individual needs or wants. In speaking directly to their needs, you will be able to create a more personal relationship with each demographic. Are There Any Downsides to Page Post Targeting? This is going to depend on how you look at it. Page Post Targeting is not a tool that is going to allow you to garner likes and fans of your page quickly. With this tool, your posts are going to be targeted to a smaller subsection of your fan base at large. The posts that are posted through Page Post Targeting are going to have lower engagement numbers, but the virility of these posts has the opportunity to be higher than with standard issue posts. Lower engagement numbers should not necessarily be looked at as a bad thing. However, you should bear in mind that not every post you make is going to be a candidate for Page Post Targeting, but it does provide the ones that are targeted with a greater chance of reaching the audience that you want them too. If the actions are performed correctly, it will get people to take notice. Additionally, Page Post Targeting is going to require you to take an extra step when it comes to posting content in your Facebook marketing campaign. Bear in mind that a targeted post is still going to appear on your Facebook Timeline, regardless of who you target the post too. Page Post Targeting is designed only to affect newsfeeds. You must be careful to avoid issuing multiple messages on your page. Page Post Targeting for Facebook marketing was just introduced in August, so it does not provide an entirely seamless experience just yet. However, this should not prevent you from experimenting with this valuable tool. Practice patience and vigilance, and your efforts will soon be rewarded!